Holland America is honoring the past with its new pinnacle class ship. The MS Nieuw Statendam will carry the name of the past, but I can assure you this ship is made for the future. It’s a name to remember, the MS Nieuw Statendam will be the 6th ship in Holland America Cruises history to carry the name. the first Statendam ship came into service 1898, and since then all ships that carry name for the cruise liner are exceptional. The new pinnacle class ship will be built at Fincantieri’s Marghera shipyard in Italy, and plans are that construction will begin in the summer. The cruise company is honoring the past, but their eyes are definitely set on the future. 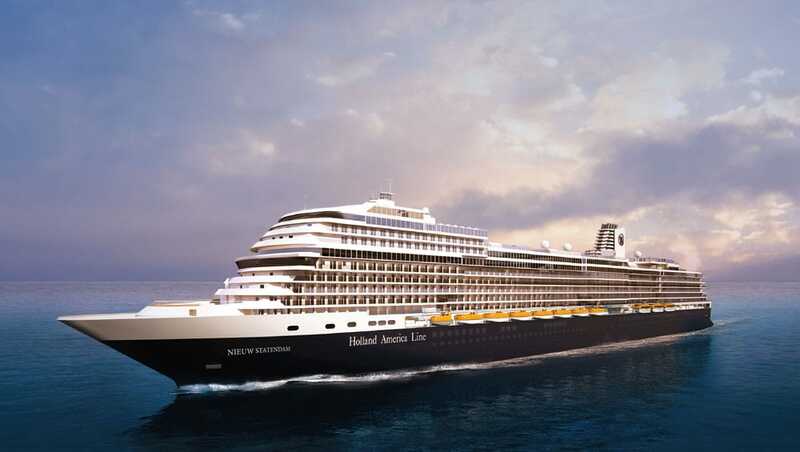 Holland America’s Lines president made statements in regards of the new ship with the historical name. MS Nieuw Statendam will be similar to its sister ship MS Koningsdam in terms of class. The 99,500 ton MS Nieuw Statendam will have a passenger capacity of 2,650. The ship will offer the same venues as the Koningsdam, but will also offer new concepts Built into its design. Holland America Line has a fleet of 14 ships that service over 98 countries. We can expect only the best from the cruise liner.